You are here: HomenextNew contributionsnextMemory Day 25th November 2017. 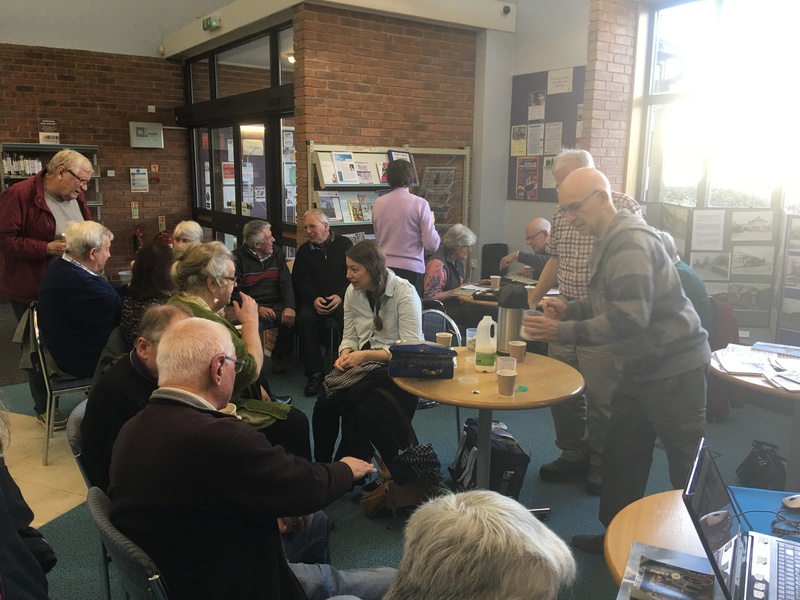 The last Memory Day for the year, held at Laindon Library on 25th November was a great success. At least thirty people attended and the room was soon a hive of activity, with new photos and documents to view. It was an extremely busy couple of hours with lively chatter, plenty of laughter and the scanner was in constant use. Several people bought a copy of the 2018 Laindon calendar. Refreshments were served and appreciated, then as always the morning sped by all too quickly and it was soon time to wish each other a Merry Christmas and a cheery ‘see you again next year’. As usual, there isn’t a Memory Day in December, but the 2018 Memory Days will take place as before on the last Saturday of each month, at Laindon Library from 10am until 12 noon, commencing on 27th January, when we hope to see you all again. I have put the date on my calendar and will try and sort some old photos out. I have so many memories to share like playing for Laindon Unt. behind the famous Laindon Hotel and of course growing up in a vibrant community.